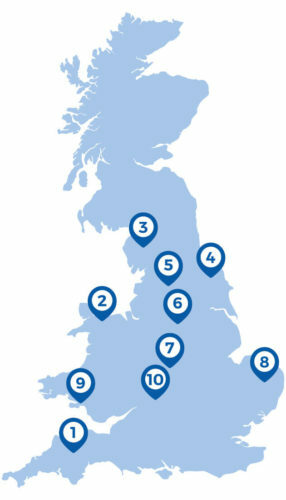 Holiday hotspots in the UK – where do we holiday? The staycationers – who holidays at home? The holiday let owners – who helps us holiday? Our Staycation Index is back for a second year and this time we want to provide an even closer look at what’s driving the growth in holidays closer to home. In recent years, Britain has enjoyed a staycation boom, with holidays abroad increasingly being shunned in favour of UK breaks. According to our latest research, two-thirds (66%) of us enjoyed a staycation last year, up from 56% in 2017. And with Brits planning to take three UK trips on average this year, the popularity of British breaks is set to continue. In our first Staycation Index, we revealed what Britain wants when it comes to choosing a homegrown holiday, including the top holiday hotspots in the UK. Our report also highlighted trends, such as the popularity of quirky staycations, as well as an increase in experience-led trips. 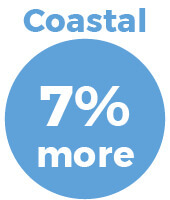 But of course, no two years are the same – and this latest report reflects an even bigger surge in British breaks. Last year was a record year for staycations – our own bookings rocketed by 36% in 2018, compared to the previous year, and there was a 24% year-on-year increase in 2017. According to the Met Office, 2018 was also the UK’s hottest summer in more than a decade – prompting a staggering 55% increase in bookings made with us over the summer, compared to 2017. And with reports of another heatwave on the way, more than one in 10 Brits say they plan to holiday in the UK in 2019 because of the warmer weather. With beautiful countryside, breathtaking beaches, and vibrant cities, there are plenty of reasons to leave our passports at home this year and enjoy what our country has to offer. 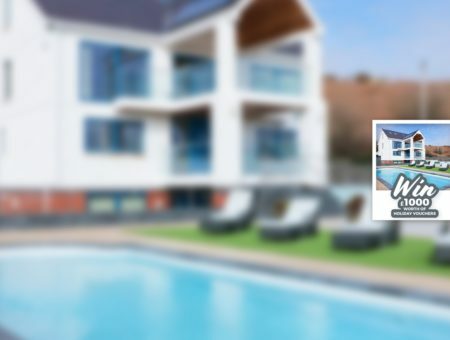 Sykes has more than 25 years of experience in matching travellers with their dream holiday cottages, so we’re able to provide fresh insights into trends in the staycation sector over the last 12 months – as well as predictions on what’s to come. Back for another year, 2019’s Staycation Index takes a closer look at our preferences when it comes to holidaying close to home. 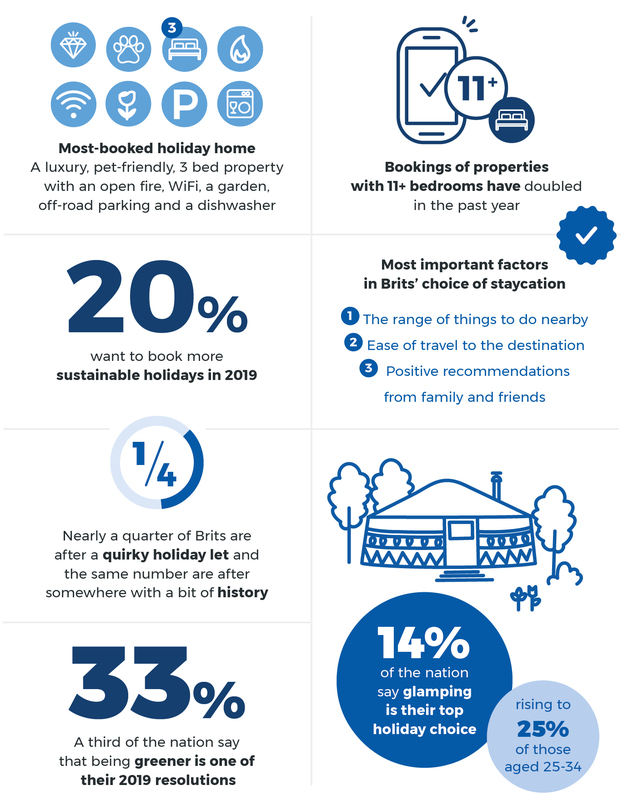 This includes the key findings from our booking data as well as insights from consumer research we conducted of 2,000 Brits, to further understand their staycation habits. The UK boasts many places that have become firm favourites with British tourists over the years. Here, we reveal the regions and locations that top the list of sought-after staycation destinations. While Devon and Cornwall have held on to the top spot for most-booked destinations for another year, 2018 also saw steep rises in our bookings to regions such as the Cotswolds and Cumbria. What do staycationers want from a UK break? Holidaying close to home is becoming an increasingly popular choice, from a traditional UK seaside break to a rural retreat in a cosy cottage. But what style of staycation ticks all the right boxes for British guests? As awareness about the impact our travel is having on the environment increases, more of us are realising that travel doesn’t have to cost the earth. Our range of eco cottages offer rest and relaxation, while remaining environmentally-friendly and energy-efficient. The demand for dog-friendly accommodation also continues to grow as more Brits choose to holiday in the UK. And with an increasing number of owners welcoming pets into their homes, the perfect break away needn’t mean having to leave furry family members behind. We have over 7,000 properties where your four-legged friends are welcome. You’ll find plenty of places to stretch their legs nearby, from coast paths and beaches to rolling parkland and open countryside. From secluded country cottages to striking seafront studios, luxury properties have seen a 39% growth in demand since 2017. Drawing discerning travellers away from upmarket European resorts, these holiday homes offer the comfort and style of a chic hotel, but with added privacy. 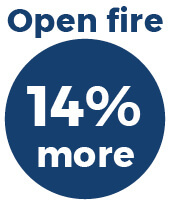 Although 1-3-bedroom properties are the most popular overall, 11+ bedroom properties are an increasingly sought-after option. 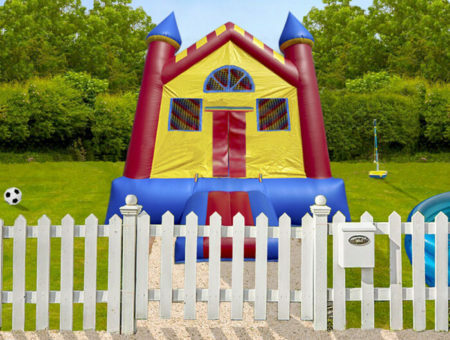 Bookings of this size doubled over the past year, with more large groups of extended family and friends choosing to staycation in the UK. Who’s holidaying in the UK, and what’s influencing their choice of British break? Brits are increasingly abandoning foreign travel plans and opting to holiday on home turf instead. But what are the characteristics of the average staycationer? Avid staycationers: Those in the North East are particularly fond of a UK break – with 73% staycationing in 2018, and 57% are already planning a holiday break in the UK for 2019. The long hot summer: The heatwave seems to have boosted last-minute summer staycations – Sunday 17th June saw the most significant increase in bookings year-on-year, up 148% compared to the same date in 2017. For one couple from Liverpool, there’s no place like home for a holiday. Rachel Moore’s love of staycations started from a very young age, having spent many summer family holidays in cottages around the UK. Ever since, the 26-year-old primary school teacher has kept up the staycation tradition – taking at least two breaks in the UK every year, come rain or shine, allowing her to make long-lasting memories right on her doorstep. From coastal cottages to quirky shepherds’ huts, Rachel and her partner, Phil, 25, a marketing manager, have stayed in a variety of different holiday homes throughout the UK, each offering them a unique experience. And the wide range of pet-friendly properties available means that bringing their dog, Frankie, on holiday has never been a bone of contention. The couple even enjoyed a milestone staycation at the start of this year, when they got engaged while holidaying in the Scottish Highlands – with snow-capped mountains and glittering lochs making a magical backdrop for Phil’s proposal. The enjoyment and rewards of running a holiday cottage can be considerable, with our owners earning £20,000 on average each year, up from £18,000 in 2017. 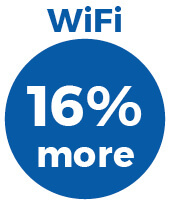 But where can you make the most and what holiday home features maximise revenue? With a surge in demand for staycations, our holiday cottages are generating more revenue than ever before, with properties earning £2,000 more in 2018, on average, in comparison to the previous year. Cumbria took the top spot from Dorset as the highest-earning region for holiday letting, after coming in second in 2017. 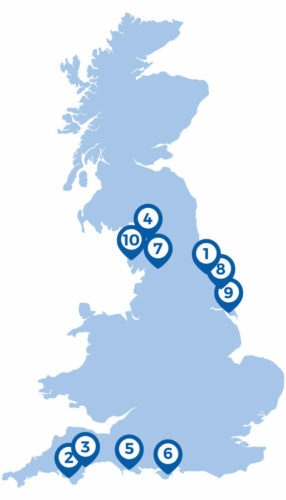 And after missing out on the top five last year, Cornwall ranked second. 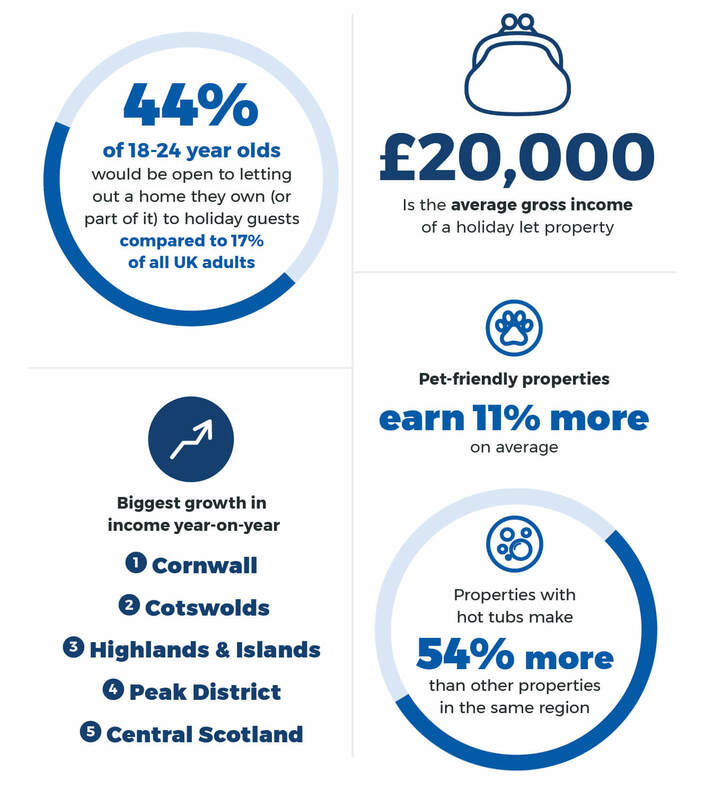 Because the staycation trend is set to continue, almost half of 18-24-year-old homeowners have expressed an interest in holiday letting in the future. Keen to turn their hand to holiday letting, Susan and her husband Nick, a former policeman, decided to make the move from Bristol to the Scottish Highlands in 2015, along with their two children and Susan’s mother. After purchasing the perfect plot of land in picturesque Roy Bridge, Inverness-shire, the couple invested £140k of their savings in building and furnishing Spinnyfield, a two-bedroomed holiday cottage nestled in tranquil surroundings. Staying in several UK holiday cottages over the years meant the couple gathered inspiration for their own dream holiday home – an open, spacious and sociable space for a couple or a small group to enjoy. Offering stunning mountain views, as well as an enclosed garden and a covered patio area, the cottage provides the perfect retreat all year round. As well as being a stone’s throw away from Fort William, the cottage is only a 15-minute drive from the Nevis Range Mountain Experience, where lovers of the outdoors can ski, hike, play golf, or even canoe and kayak. The day-to-day running of the cottage is very much a family affair – while Susan and her daughter Amy take care of the changeovers, and putting together welcome packs for guests, Nick manages the bookkeeping and maintains the garden. The success of their first holiday home has far surpassed the family’s expectations – the cottage generated £24,000 in gross earnings last year, receiving 48 bookings in total, with 44 reservations in the diary already for 2019, as well as advance bookings for 2020. 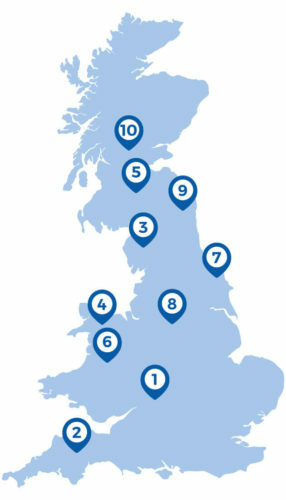 At Sykes Holiday Cottages, we’re immensely proud to promote all that the UK has to offer. With the demand for staycations in 2018 surging, our Staycation Index has shown that more Brits than ever before are realising that they don’t need to venture far to have an unforgettable holiday. 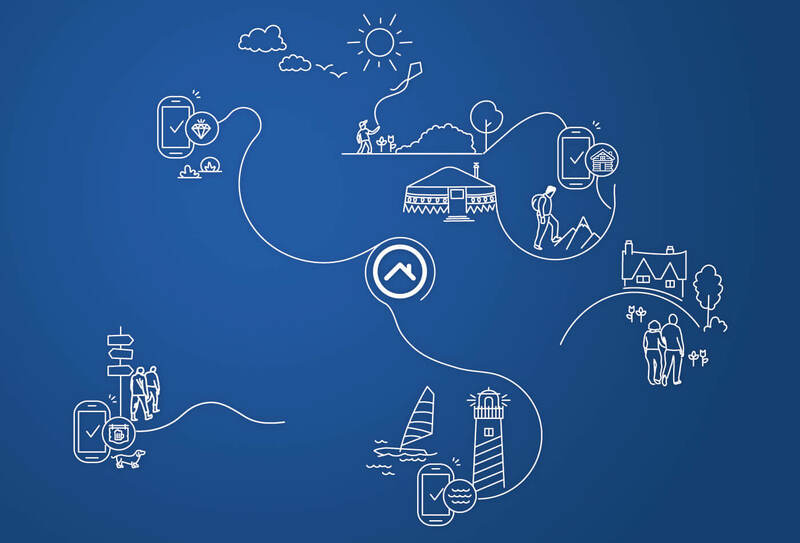 The huge range of stunning destinations across the country, and the ease, convenience and certainty of budgeting for a domestic trip are all contributing to the nation’s preference of holidaying close to home. It’s fantastic to see that more of us are exploring all corners of the UK, with a boost in bookings to places such as the Cotswolds, South West England and the Lake District, boasting unrivalled landscapes and experiences to suit all ages and tastes. As well as there being more interest in quirky holiday lets, and somewhere with a bit of history, a garden, proximity to a beach and WiFi are also among the list of features British travellers look for when choosing a UK break. 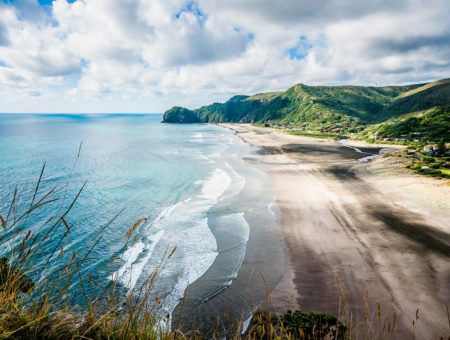 A growing awareness of the environment, warmer weather in the summer months, and the current Brexit related uncertainty are all factors which are shaping our preference for UK breaks – a trend that’s set to stay. 2019 is set to be another bumper year for staycations within the UK – and we look forward to welcoming more guests than ever before, who are hoping to enjoy the many outstanding destinations right on their doorstep. My thanks to our property owners, guests, and the full Sykes Holiday Cottages family. Based on Sykes Holiday Cottages internal bookings data from January 2014 to December 2018. 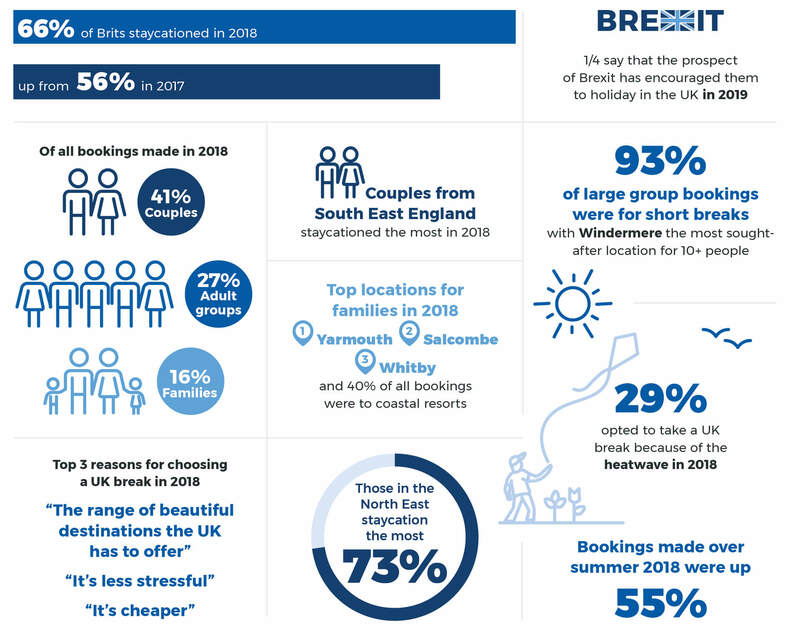 Full-year bookings data from 2018 was used to provide a snapshot of the staycation market, while comparisons with full-year data from 2014, 2015, 2016 and 2017 were used to identify market trends. Supporting consumer research of 2,000 UK adults was carried out by OnePoll in December 2018.